I have been trying out a few different face oils and honestly I am loving them all. They all have their own unique ingredients and benefits. At one time I wouldn’t of even considered using a face oil – the thought of that made me freak out. I have combination skin and there is no way my skin needs any more oil (hello oil slick) but it is amazing how oils actually help balance out oily skin. 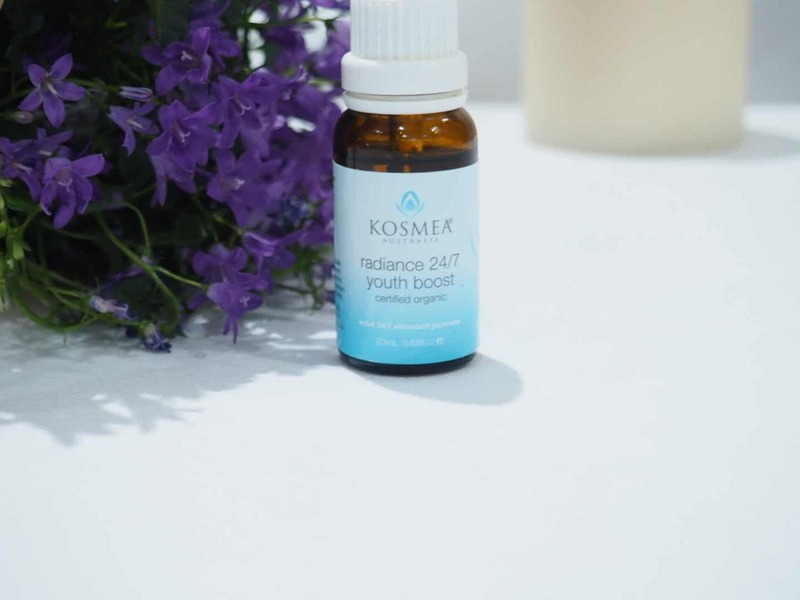 I have recently added the Kosmea Radiance 24/7 Youth Boost oil to my skincare routine. 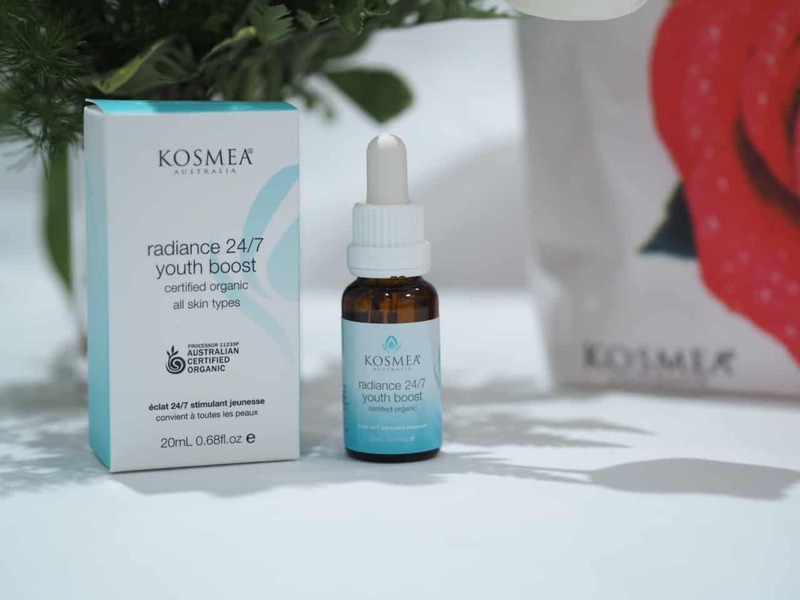 The Kosema Radiance 24/7 Youth Boost oil is a powerhouse combination of antioxidant rich berry oils. This unique antioxidant-rich facial oil helps fight aging and delivers a youthful, glowing complexion. Who doesn’t want glowing skin? This formulation enhances skin’s elasticity, diminishes fine lines and delivers an intense boost of hydration to help prevent premature ageing (you know I’m all about that). Potent essential fatty acids from Rosehip and Seabuckthorn Oils nourish skin and reverse the signs of ageing caused by damaging free radicals. Restorative antioxidants from pomegranate and raspberry oils help to moisturise and stimulate cell turnover, yielding a dramatic improvement in your skin’s texture and appearance from the first application. 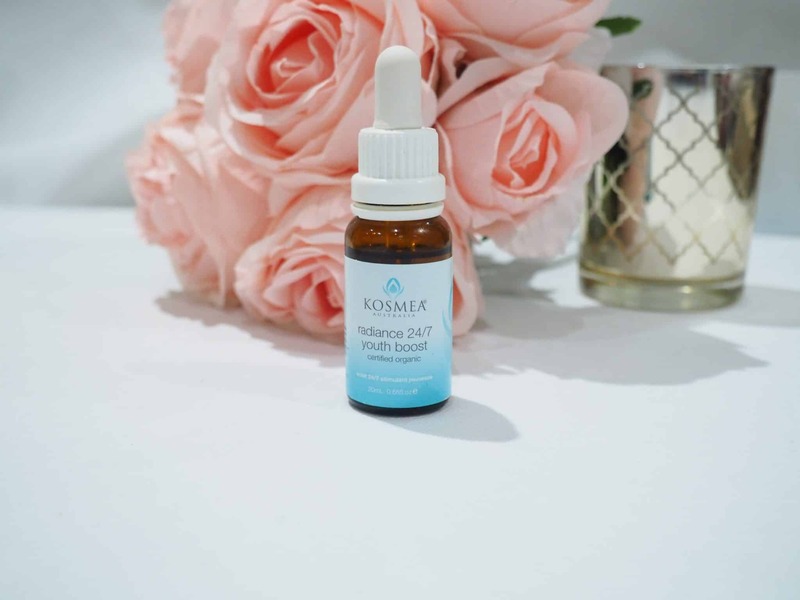 Kosmea has formulated their natural skin care range around organic rosehip oil and the finest herbal, plant and flower extracts from Australia (somewhere I want to visit) and around the world. Look at the rich colour of this oil. I add a few drops to the palms of my hands and pat the oil onto my skin. I then massage it slightly in an upward/outward motion. 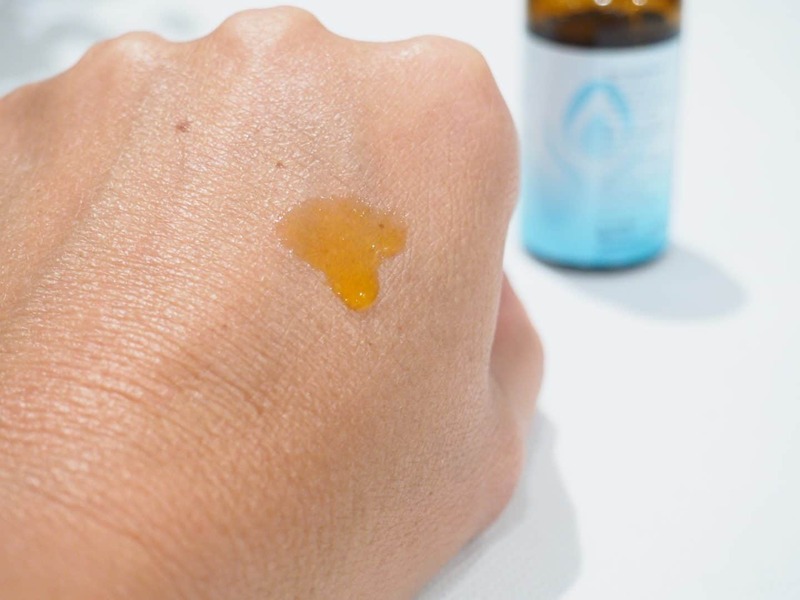 I find my skin just soaks up this oil and leaves my skin feeling soft and dewy without any oily residue. My daughter has been trying this as well and said that she noticed an immediate difference in her skin. I just got back from vacation and my skin is really needing this oil right now. I swear as soon as I got off the plane my skin felt dehydrated. When I got home I washed my face and used this oil and I felt the immediate hydration boost. 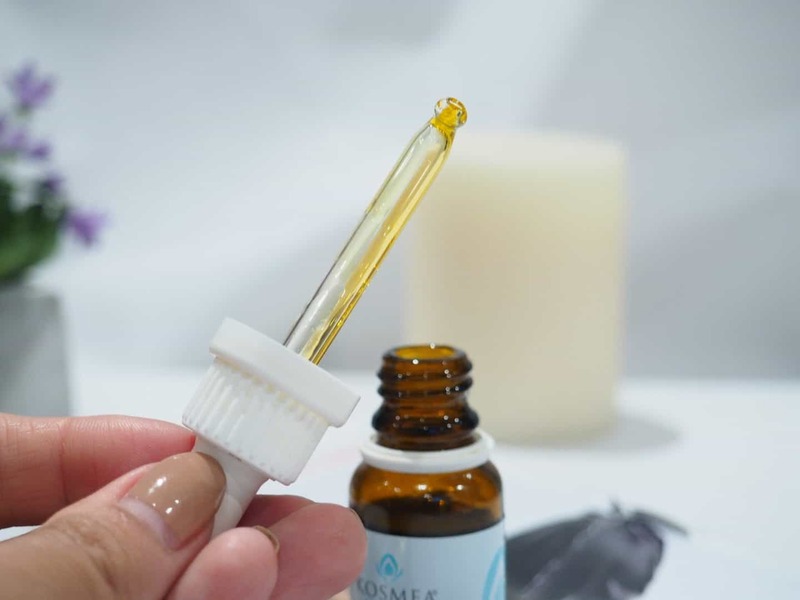 Have you tried any Kosmea products? 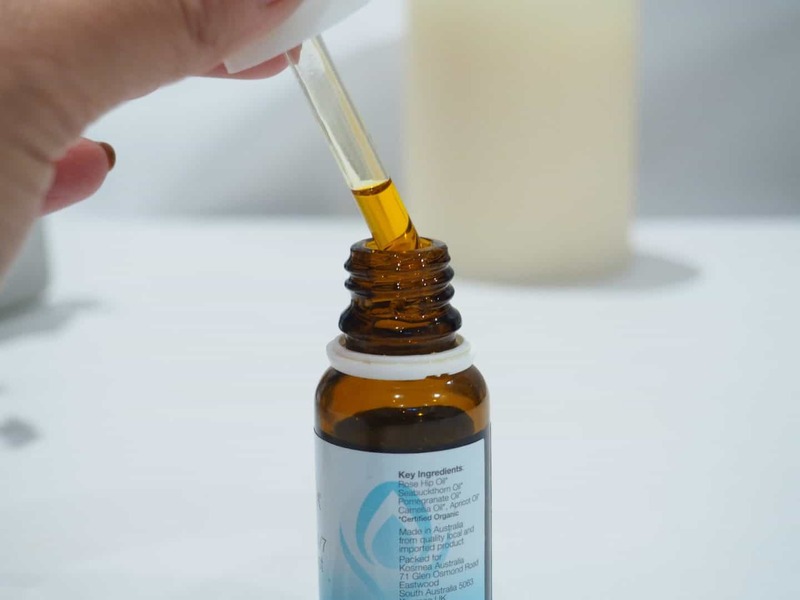 Do you use facial oils?